Written by the beautiful, sweet and talented Naomi Cook with A Life Delicious! We love fish! It’s something we have on a pretty regular basis, and I make this one in particular for us all the time. It’s easy, quick, and super flavorful! I mean, adding fresh fruit to just about anything is a win! But, adding it to fish is amazing! Plus, with the addition of honey it completely seals the deal. If you like this recipe give us some love in the comments! You can also see more recipes from Naomi at A Life Delicious! 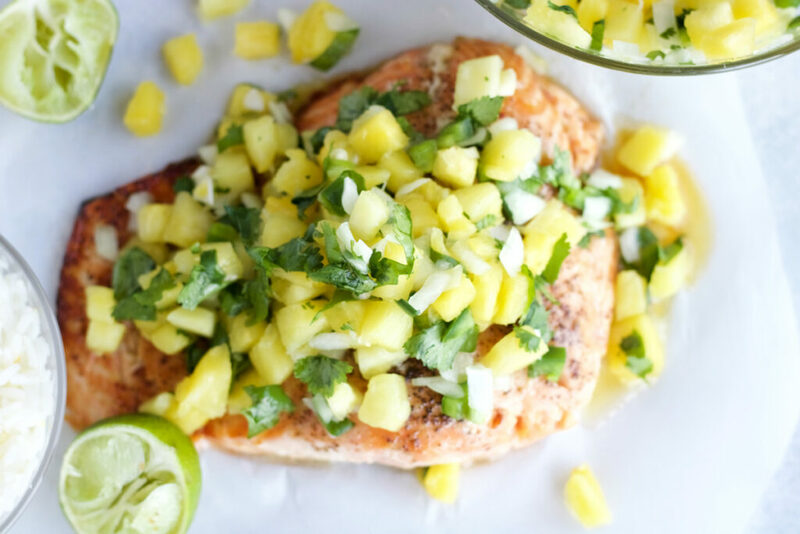 This Grilled Salmon with Pineapple Jalapeño Salsa is a fish lovers dream -- it's super fresh, perfectly spicy-sweet and is ready in about 30 minutes. Warm the gas grill up on high heat for about 10 mins. 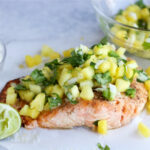 During this time, prep the pineapple salsa. Turn the grill down to about medium, place the fish on foil (we usually use a double layer), and cook for about 20 mins, or until easily flaked with a fork. During the last couple of mins add the fresh salsa and heat until warmed through. Note: We have a Charbroil Gas Grill, so this wouldn’t apply to a charcoal grill.